Today I'm thrilled to help Elana Johnson celebrate the cover reveal of ABANDON (Possession #3). Isn't it absolutely gorgeous? And it fits so well with Elana's series. Vi, Jag, and Zenn must set their problems aside for the Resistance to have any hope of ending the Thinkers' reign. Their success means everything...and their failure means death. I can't wait to read this! It'll be published in June 2013. I've already added it to my TBR list on Goodreads. You should head over there and do it too. Elana is running a Pinterest contest for the cover. She wants to get 500 pins (or repins) over the next two days. If we can get that many, she'll pick someone who pinned the cover to win a $50 Amazon gift card. It's so easy to do this. All you have to do is click over to Elana’s blog for details. Hope you'll head over to Elana's blog and congratulate her on her awesome cover. When I first saw this cover I thought, "Whoa..." So happy for Elana. Can't wait to read it! Another fabulous cover! This whole series has been gorgeous! Great cover~ I love the consistency between this and the other books! I'm trying to NOT be all fangirl but I love the cover. It fits the series perfectly. 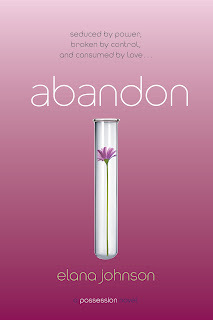 Doesn't that test tube just make you wonder where she's going with this book? What a gorgeous cover! I love how it fits in so well with the rest of her series. Congrats to Elana! The symbolic simplicity of all Elana's covers is so eye-catching! Hooray for Book 3, Elana!! Congratulations to Elana! How exciting to be on her third release in a series! That pink is deceptive, lol! It does catch the eye. Congrats to Elana! It's gorgeous! And fits perfectly with the others. Gorgeous cover!!! Congrats to Elana for the third in the series! Wow, what a perfect cover to complete the series! Congrats to Elana!